Pour the couscous seed in a bowl and sprikle with salt and olive oil. Add boiling water, just enough to cover it. Wait 5 min and wisk it with a fork. In a large bowl mingle the chicken cubes, red onion and pepper and sprinkle with the spices. Stir it with 1 tbsp olive oil. Fry the chicken in a hot pan. Leave it to cool down. Pour the yoghurt in a bowl. Thinly cut the shallot, garlic clove and chives and stir it in the yoghurt with salt and pepper. 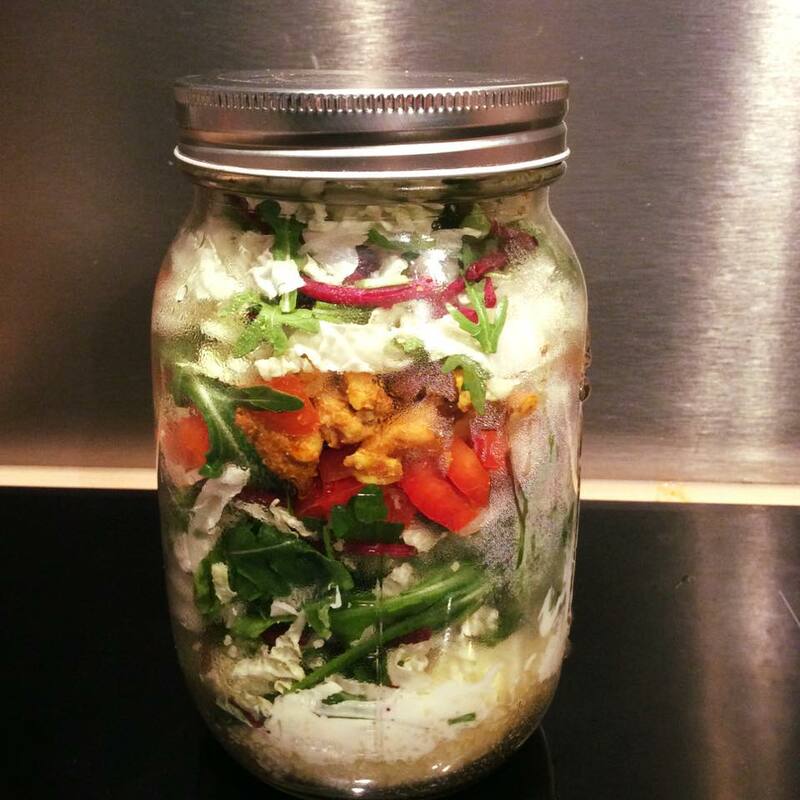 Get a nice jar and start with the couscous seed topped with feta cheese. Add 3/4 of the yoghurt sauce, the mixed leaves, chopped peppers and onion. Add the chicken, more mixed leaves, yoghurt and feta. Store the jar in the fridge. It's ready!! !